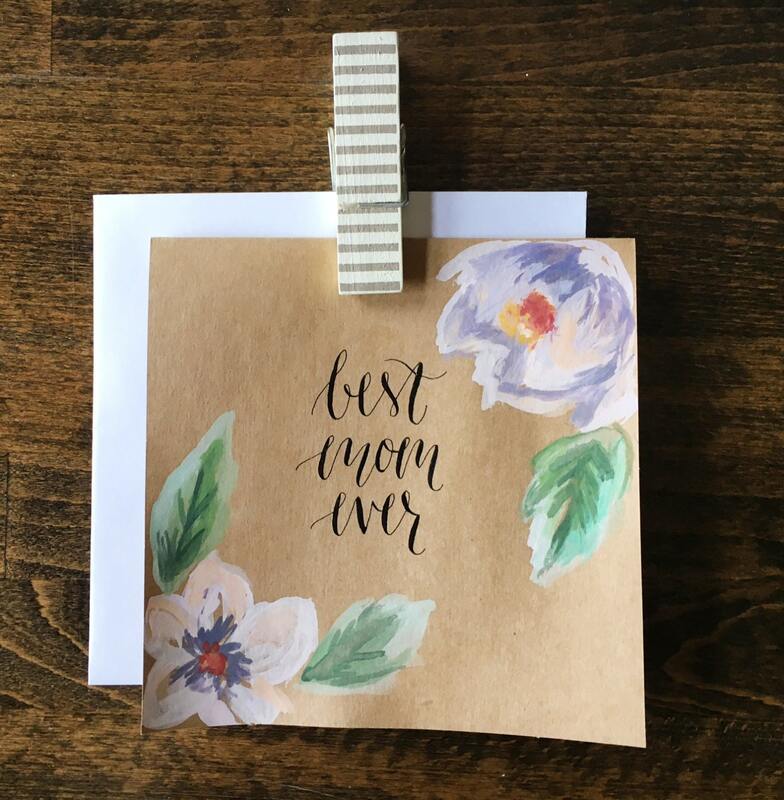 Make a mom smile with this lovely handmade card! This 5.5x5.5 inch card comes with a white envelope. Cards are individually hand-painted (no printing here) with gouache on kraft textured card stock. I use a traditional pointed-pen and ink for the calligraphy. Each card will vary due to the custom nature of my work. If you have any special color requests, leave them in a note when you order. Thank you!